"Don’t be fooled: Merino is just as fresh for summer as it’s warm for winter. So much so, we made lighter-weight, short-sleeve versions of our praised knits to take the temperature control, smartness and versatility of these fibers straight into your warm-weather edit. Wear them with your favourite chinos or even shorts, and make them your arms-bearing staple." 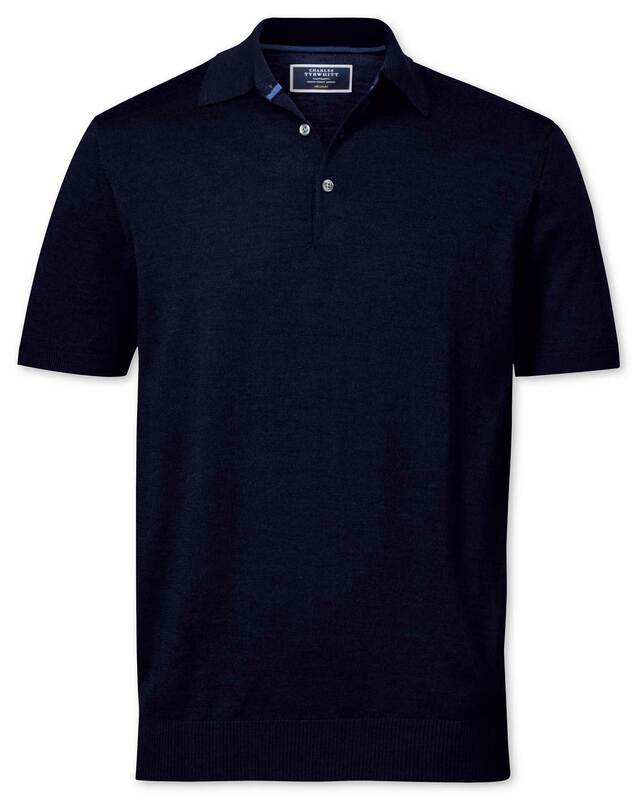 "100% merino wool knitted short-sleeve polo; ideal for warm weather smart casual looks."